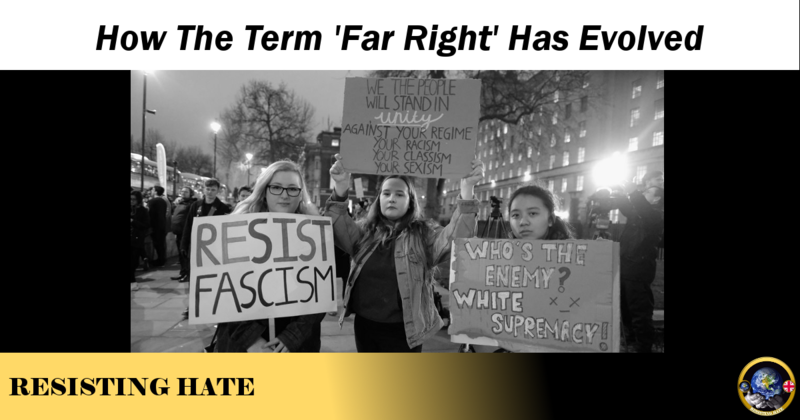 The phrase ‘far right’ is a term that is used liberally across media and social media every day. But pinning down a specific definition can be contentious and often leads to debate between both those who self-identify as far right and those who seek to use the term to define others.The dictionary defines ‘far right’ as: “the extreme right wing of a political party or group,” which assumes an understanding of how the concepts of left and right relate to politics. I wrote an article in 2017 where I discussed how the term ‘far right’ fits into the political spectrum. However the term has now evolved past a simple literal definition and has become a colloquial umbrella term for a large and complex demographic. It is important to understand that this new, evolved, definition does not relate to a single cohesive vision or community view, it refers to the underlying political ideology of inequality, not to a specific dislike of a particular race or faith. Essentially, being far right is about setting one (any) community group above another. Put simply, a Racist, an Anti-Semite and an Islamophobe could all be considered far right. It does not follow that these particular bigots will be part of the same group structure and it is certainly possible that they see no common ground with the others. But what they do have in common is the attitude that a single race or faith are responsible for their troubles and a shared methodology of demonising and discriminating to reinforce their perceived superiority over those they deem inferior. To an extent the informal use of the term ‘far right’ is synonymous with ‘fascism,’ the general term of which is defined by the dictionary as “extreme authoritarian, oppressive, or intolerant views or practices.” The disparate far right groups active today are all founded on the basis of oppression, be it silencing minority voices, supporting deportation of migrants or abusing individuals who represent the focus of their prejudice. Their rhetoric is oppressive with the intention of creating division between community groups. 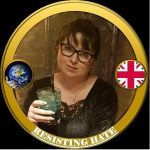 A quick glance at hate filled comments on social media show how those on the far right express their intolerant views, in extreme examples even openly calling for the genocide of their chosen persecuted. Using this rationale it is correct to refer to Tommy Robinson and others of his ilk as fascists. Comparisons to the ideology most infamous for the atrocities of Nazi Germany are scorned by the far right who cite Robinson’s support for Israel in defence. But they miss the point. Fascism is not defined as an anti Jewish position, it is defined as a generic position of intolerance. Robinson may have substituted Muslims for Jews as the object of his hate but the underlying (and incorrect) belief that a minority faith is to blame for the ills of the working man is exactly the kind of rhetoric that Hitler used to demonise the Jewish population. Robinson is a fascist, whether he admits it or not. In defining ‘far right’ it is crucial to look at behaviours rather than beliefs. The beliefs can and do differ but the key behaviours remain constant. The far right use stereotypes to encourage dislike of community groups. They dehumanise by denying individuality and by falsely attributing a common factor to those they oppress (I receive a great deal of hate mail earnestly pushing ridiculous lies such as: “All Muslim males are paedophiles,”) and they make little or no attempt to differentiate between a peaceful majority and a problematic minority. It is irrelevant who the far right are oppressing, these tactics are always used. The language used by the media, aside from being unnecessarily sensationalist, fails to demonstrate an understanding of what the far right actually is. Headlines such as “The worrying rise of the far right across Britain and Europe,” give the false impression that the far right is a single movement which is slowly gaining in strength and credibility. It is true that far right groups in general are becoming both more prolific and more prominent but the implication that they represent an organised unity is incorrect. It is the very diversity of the far right’s focus that will be the downfall of Fascism in modern times. There is no one single target for hate. 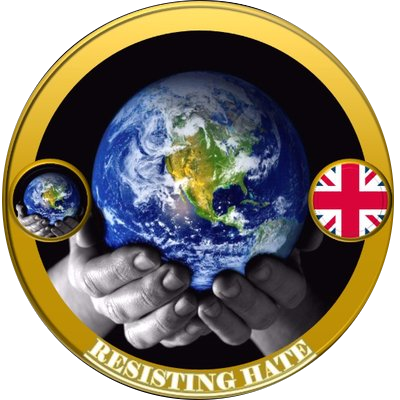 There are high profile individuals like Robinson and his Islamophobic agenda, there are movements like proscribed hate group National Action who hate the Jews, there are anti-immigrant organisations who focus on discriminating against the Polish or Eastern Europeans. Not to mention those against Gays, Transgender individuals, Travellers, users of the Welfare State and the Political Left. Between them the far right manage to hate just about everybody! Because there is no unifying belief between all the different groups that can be classed as far right by their behaviours, it follows that the threat from ‘the rise of the far right’ is not as significant as is suggested by the press. There is no unity, cohesion or structure that embraces all these different types of prejudice. Often there is massive infighting between groups. As the beliefs are so different there is no single leader who can be viewed as a unifier for a fascist resurgence. This fragmented and divided far right will not pose a serious threat until they can find one target for their hatred that they can all agree on.